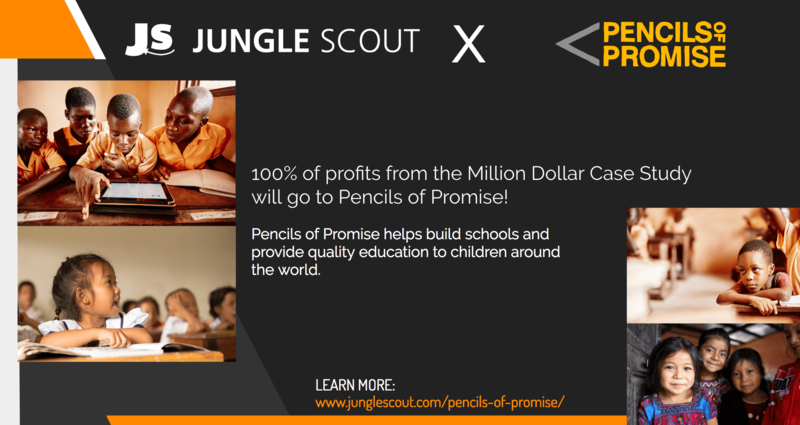 Jungle Scout will be partnering with Pencils of Promise in the Million Dollar Case Study: 100% of profits for products sold during the Million Dollar Case Study will go towards building schools and providing better education for children around the world. You can learn more about the program here: Jungle Scout partners with Pencils of Promise. And now on to the nuts and bolts of starting an Amazon business: the question of tax and legal structure for Amazon sellers. To help us navigate the topic, we have Stewart Patton, US tax attorney and expat entrepreneur and Founder of U.S. Tax Services. Stewart’s particular expertise is in helping US citizens who live or invest outside of the States understand and optimize their tax situations. Stewart did a fantastic job in this webinar of addressing the various tax and legal situations of people with varying circumstances, of different citizenships living in and outside of the United States. As with any legal advise distributed on the web, you certainly can use this as one data point. However, you will also want to get your own legal advice tailored to your particular situation. Stewart offers an important fact that everyone may want to take heed to… If you are selling products on Amazon as a sole proprietor, without any legal formation protecting you (like an Limited Liability Company or Corporation), you are leaving yourself personally liable if a customer has any issue with a product that you sell on Amazon. This means that, knock on wood, if a customer has a problem with your product, they could sue you and your personal assets would be unprotected. However, by forming a Limited Liability Company (or S Corp), you would have legal protection and are not personally liable for any mishaps with your product. The Limited Liability Company, known as an LLC, is a corporate structure formed under the laws of individual US states. An LLC is owned by its “Members”, and operated by its “Managers”. As noted above, the Members who own the LLC cannot be held personally liable for the company’s debts or liabilities. Legally, the LLC has similarities to Corporations, except in regards to how taxes flow through to the owners of the company. S Corporations, as defined by the IRS, “are business corporations that pass corporate income, losses, deductions, and credits through to their shareholders for federal tax purposes.” The S Corporation has some tax benefits to business owners, in addition to the legal protection it offers. Granted, these definitions are very high level, and don’t delve into the details of why each legal entity may make sense for you, depending on your situation. The easiest and best legal structure if you are an American resident living in the US is a Limited Liability Company, or LLC. If you are the only person running the business, you can be a single-member LLC. When this is the case, then there is no separate tax regulations you need to follow, the income and deductions appear on your tax filings as your personal income. If you have multiple members in your LLC, you can elect to file with the IRS as an S Corporation. One stipulation with this is that you have to file a tax return as a company, whereas with a single-member LLC you can file as an individual. If you are self-employed, and you are the sole member of the LLC, or you have multiple members in the LLC and don’t file your taxes as an S Corporation, you are responsible for self-employment taxes. If you pay a self-employment tax, it is 15.3% up to $118k, then 2.9% for all taxable income above that. Only the salary portion of your net profit is subject to employment tax, and the net profit above that $118k is subject to federal income tax. Therefore, you can save on some self-employment tax if you file as an S Corp, which is one of the benefits of a multi-member LLC. There are going to be different tax regulations when making the decision to file as an S Corporation or LLC, depending on what state you are filing in. In addition, there are some payroll forms and other paperwork when filing these corporate tax forms. All of this leads to one clear conclusion: it’s easiest to get some guidance and help from a CPA! The nuances, details and unique circumstances of each company are complicated enough where a professional is the best solution. 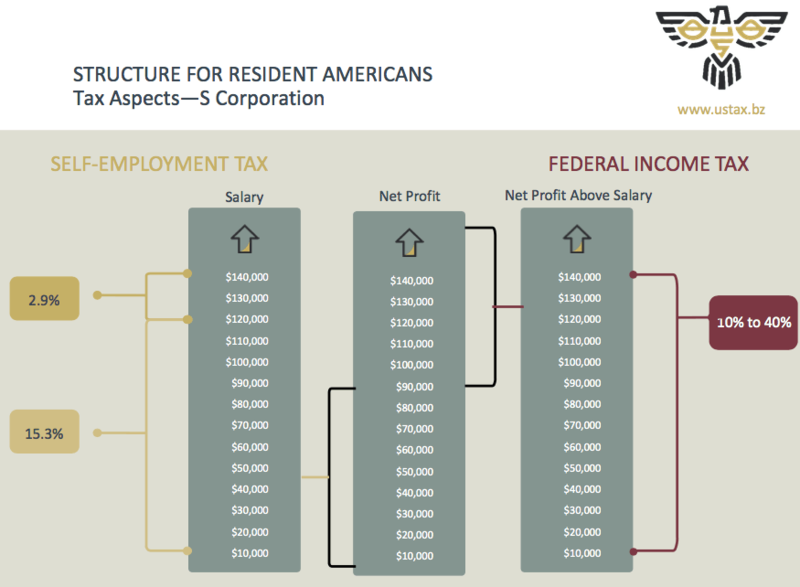 One of the interesting things Americans living outside of the United States is that there are different benefits to various legal structures, depending on whether you are approaching it from a legal/tax perspective or operational perspective. If you are an American living outside of the United States, everything operationally runs through the LLC. So this includes your Amazon seller account, your bank account where money runs through, domain names, employment contracts, and everything else related to your business runs through the LLC. There was an interesting tax benefit to digital nomads and Amazon sellers who are American by citizenship, yet spend significant parts of the year outside of the United States: the Foreign Earned Income Tax Exclusion. Foreign Earned Income Tax Exclusion allows you to make up to $100,000 from providing personal services. This applies if you are outside of the United States for 11 months of a year. However, the benefits of this tax break are tempered somewhat for Amazon sellers. Enter the IRS cites the “30% Rule”. This only treats 30% of the Amazon FBA income for your personal services, so ultimately you are required to pay taxes on 70%. The rationale is that your Amazon FBA business is earned on your time and also your investment. Therefore 30% of the income is for your personal services (which gets the benefit of the Foreign Earned Income Tax Exclusion). The remaining 70% is taxable as US business. As you hopefully know by now, non-resident and non-US citizens can still take advantage of selling on the Amazon US store. The one snag is that if you don’t have a US bank account, Amazon will pay you in the currency of your residency. This means you may have to go through multiple currency conversions. The benefit to creating an LLC is that it opens the door to create a US bank account. Furthermore, you would get the important liability protection of creating a legal entity. A small caveat is not to employ too many workers in the United States as a non US citizen and non-resident. Once you start employing people and doing substantial business activity in the US, you open yourself up to more potential taxes. If you are a non-resident Alien selling on Amazon.com and NOT engaged in trade or business in the US (like employing workers), then you will not be required to file US tax returns. In most circumstances, you will be required to pay tax on your Amazon income in the country where you are tax registered. If you are an Amazon seller, the first and most important takeaway is simple: get a legal entity formed! It is a quick and relatively cheap process. Ultimately it provides important insurance in case something were to occur with a product that you are selling. If you don’t create a legal entity, you leave yourself personally liable for any potential legal issues that could arise. Check out the next session! 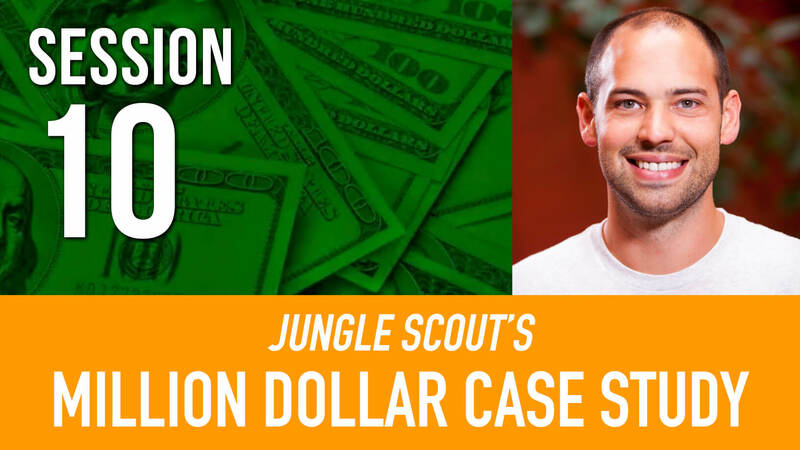 If you are not already registered to receive notifications for the Million Dollar Case Study webinars, CLICK HERE TO REGISTER NOW. The next session was held on May 3rd where Greg was joined by Kym Ellis of the Jungle Scout team, to put together an optimized Amazon listing and carry out effective keyword research. Check out the full recap, replay, slides and a neat free swipe file for your Amazon keyword research! Amazon forces you–if you desire to classify as a SMLLC, to register as a SP. (SC “LLC type’ drop down options don’t apply: “Corp, S-Corp, or Partnership”. Has anyone out there formed as a SMLLC, and successfully had Amazon pay you directly to your LLC biz account (which has your LLC name,) rather than your personal seller account name? If not and you are paid personally, it seems there would be commingled funds, distinction between personal and the entity blurred and liability protection compromised. Am I missing something? Even if you were successful with the LLC bank account issue, your LLC name on supplier invoices would contradict SC, and how would you resolve that confusion if issues arose? Thank you for your help!! My sister and I (2 members) are going to start selling on Amazon.com. We are US green card holders living most of the time in Europe. Which legal formation would be the best tax costS wise? The LLC? If so, how would we do that living in Europe? Do we have to get an employer’s identification number afterwards? If so, how do we that? Can we start selling before we form a legal entity? You might try speaking with someone who has more experience in this area either through our support team or with Amazon Seller Central or a legal advisor. Sorry I couldn’t offer you more assistance! I just watched the Tax and legal structure for Amazon seller, a very useful video for guidance. I have a question regarding non-resident Americans having an LLC set up in the US as myself. I set up a single owned LLC using the address of my cousin business, I also set up a bank account using the same address, but when registering as an amazon seller, it got suspended right away and were asking for an utility bill. I have an utility bill for my home address in Sweden (which I used for the tax questionnaire), but there is noway I could get an utility bill from the LLC address, since my cousin’s business is applying for some business relation with Amazon. Do you know wow to go about to resolve this issue? I guess all LLC owned by non-resident US person willhave this problem. Hi Dave, Kym and Gen.
What statute, section, or IRS code does author refer to when stating: “If you are a non-resident Alien selling on Amazon.com and NOT engaged in trade or business in the US (like employing workers), then you will not be required to file US tax returns”. 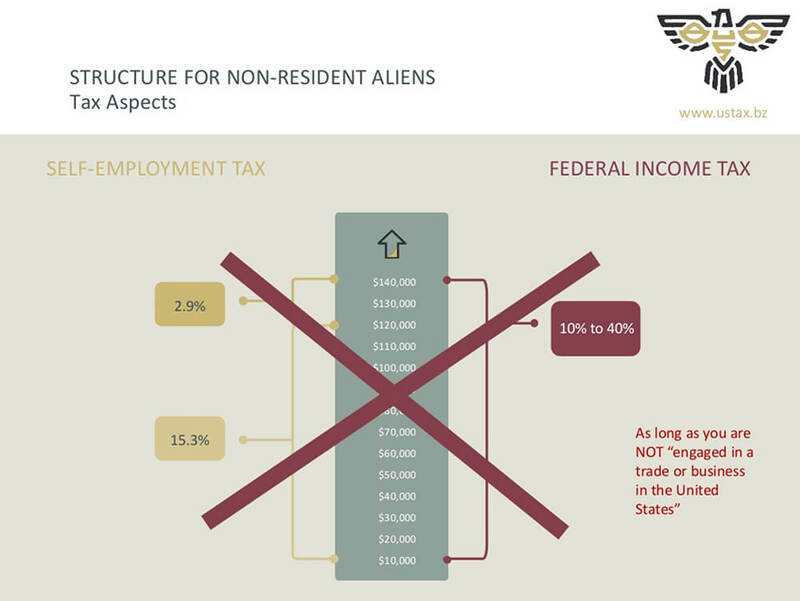 You can find more info on this on the IRS site here: https://www.irs.gov/individuals/international-taxpayers/taxation-of-nonresident-aliens which also directs you to the full explanation in Publication 519 of the U.S. Tax Guide. That should be your best resource to explain things! Hi all, how much does it cost to become an LLC? Definitely check with your local state business association or an accountant. I’ve found it usually costs only a couple hundred bucks, tho. Thank you always for such good content. I have a question regarding setting up an LLC. I am a non-resident American. Do I set up the LLC in the state that I use to live in or the information that I input in the form has to be my current overseas address? That’s probably a question best for professionals in either accounting or business law as none of us are qualified to answer it. We don’t want to steer you the wrong way on such an important matter! I’m based in the UK and have set up a limited company. I want to sell on Amazon.com in the USA as a professional FBA seller,but I’m unclear as to what status or entity I should select in the Tax Interview questionnaire. I was advised by some FB groups to tick ‘Corporation’ or ‘International Organisation’, but I’d like to know what the term ‘Disregarded Entity’ means as it seems appropriate There is no option to check LLC (and as I haven’t set up one in the US it wouldn’t apply anyway). Should I apply for an EIN number, some say I don’t need one, whilst others say I do. I’m totally confused by all the conflicting information. You should probably speak with a legal/accounting professional to help you decide what to do as we are unable to give legal advice. I can say, however, that I started with a sole proprietorship and only switched to an LLC when I took on partners. Is it okay to form an LLC in Wyoming if you live in California?, I heard a lot of amazon seller do this. How would that work as far as paying state income tax? Would a US LLC only give me legal protection for goods sold in the US? What if I also wanted to sell my products on Amazon Canada or Amazon Australia for example? Would my US LLC protect me if there was a problem with one of my products in these counties? Or do I need to form an LLC for every country in which I plan to sell? Hmm not sure about this – and it might vary for each marketplace. I would speak with a professional legal representative to find out more if you are looking to expand your product(s) out into new marketplaces. I am a non-resident alien. I think the biggest problem is not opening a LLC which I believe can be done online via some agents, but to open a US bank account since you need to be physically in the US to do that. May I know if I have a LLC opened for the Amazon business, but use my own personal account in my home country under my personal name, do I still have the limited liability protection? Also those online transfer platform such as Payoneer, Worldfirst, are they bank in nature/legal status just like HSBC, BoA? In this session it was suggested that getting an LLC can open up the door to get a US bank account. I think there are sometimes options to open one from abroad but this might be more difficult than in-person in the US. We can’t advise on the legal protection based on your circumstances, I would suggest speaking to a legal professional to find out more. Services like Payoneer and World First are money transfer services – not sure if they have full bank status. They are definitely useful for handling currencies as an Amazon seller, and avoiding high conversion fees. After watching the video and learning that it is a good idea to get an LLC, is there other things to consider in obtaining a business license or permit for the state you live in? I currently live in the state of Florida so I am not sure what else I may need legally to sell on Amazon FBA. If you guys happen to know any information on that, that would be great! Great questions. Unfortunately, none of us are legally capable of providing legal advice on those matters. You might check with local attorneys (you might even find some one on a marketplace like Jungle Market that can help) and doing a little research on your state’s SBA sites. hello , if i form an LLC , is there a way to open a us bank account from abroad? 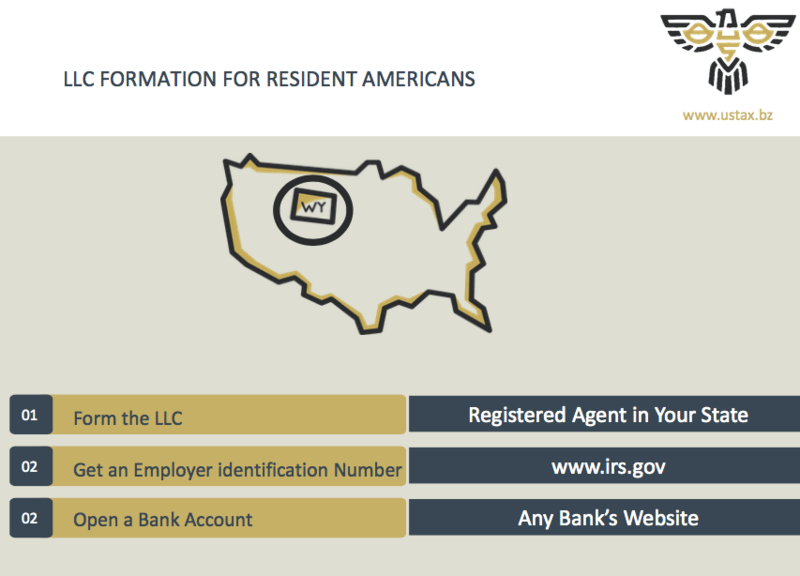 I am a non-resident alien, looking up sites to buy the LLC, does it matter which state it’s in? As there is a big difference between states on the state tax. Also if you know of any trusted sites to buy the LLC that would be amazing! A lot of those topics are for legal or accounting experts and we wouldn’t be able to advise on those. I am looking up prices for getting an LLC in America, I am a non-resident alien. There is a large difference in state fees between different stats, does it matter which state I choose? Could i just select a cheaper state? will it make any difference? thanks for bringing this great piece of content to us. 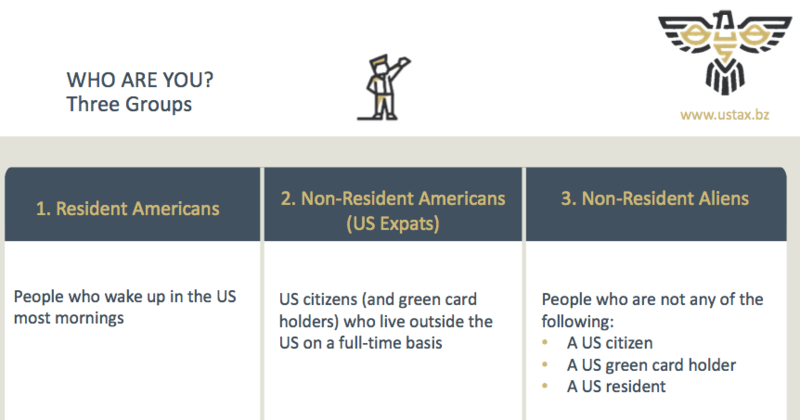 I am non US resident alien and after watching the video it ended with the 3 steps for US residents and i was hoping to see the same slide for non US residents, but it was not included. Could you kindly advise what would be the 3 steps for non US residents aliens similar to below for US residents: ? What is the best way and do i need to obtain an IRS number ? 4) Not form any LLC ? So for a UK resident selling on amazon.com – With most agents there is a choice of a LLC – S corp or C corp. Which is better for an alien none resident? I think an LLC is the most common route that sellers take but it depends on your situation entirely so you should always consult a professional. im a non us resident and a single member owning a Delaware LLC registered in march 2017. I have 0 sales and 0 expenses besides the service paid to open up my LLC via a registered agent. It was paid from credit card issued in my country and topped up by my european buisness. If there is no income and no expenses do I have to file any kinds of forms 1040/5472 for the 2017th year? Unfortunately we can’t help with any intricate tax or filing questions like this. The best route is to speak with a professional accountant. Do i have to pay taxes in US when I form an LLC as non-american selling in US amazon? Or is it only if i employ someone to work for me in US, or have an office space / storage? So if you’re an LLC, you’ll have to pay taxes on the LLC’s profits (as it’ll be a legal entity), but if you register as an individual, you’ll have to pay higher referral fees, but no taxes. As always, we recommend you consult with a tax attorney. I live in Venezuelan and I was born here. Sadly, my country is NOT listed as one of the many countries that is allowed to sell on amazon. I do have bank accounts, credit cards, etc. If I open an LLC, would I be able to register as a seller with the LLC eventhough I am a citizen from one of the not permitted countries?? I am guessing these regulations are because inestability in the country/government, but if I make the process through my own LLC, I should not have any problems, right?? Thanks again for posting such an interesting content!! We get a lot of people asking us about countries not in the listed countries allowed to sell on Amazon. Unfortunately, we can’t give you any legal advise on this one. I think, in theory, if you have an LLC then you may be right. But I don’t know if there are any legal implications or associated risks. I love these blog posts about your journey. It is extremely enlightening and beneficial for us all. My deepest gratitude to you for giving back! Regarding this set of slides though, I’m confused after a fair bit of research. In slide 20, what is the purpose of even having an LLC in the mix if you can accomplish all the tax benefits just having the S-Corporation? Speaking from the standpoint of a US expect abroad, you can still re-invest earnings over the FEIE cap and not have to pay tax until declaring a dividend. As far as I know, having both a ‘non-us corporation’ and an LLC require you to have two separate employer identification numbers which would result in additional administration fees for filing purposes. Why not just strip out the LLC? And finally, can someone please clarify what he means by a ‘non-us corporation’? Is it simply a US based corporation owned by a US citizen living abroad? It doesn’t seem to be a common term found on google. Yes I believe he was referring to US based business owners who are based abroad. I’m not sure about the specific tax benefits of an LLC vs an S-Corporation for a US citizen living abroad, or about the administration fees. All of the examples given in this session were a very broad overview to help give a basic understanding. There are of course many differing personal circumstances that would require specific advice. Hello I have two questions I am desperate for help. What is the NAICS (north american industry classification codes) to enter in the state registration. We have to enter 6 digit number. I was thinking 454110 Electronic Shopping and Mail-Order Houses would be broad enough for different products in different categories we sell in amazon. Would that cover it? We also have to answer whether we are wholesaler, manufacturers, retailers etc. I read teh definitions but it seems that online selling can blur the lines. Right now someone will make the product , but down the line we might for example want them to enhance th product tailored to our specifications. Would that make a difference. Please help! Is this for registering your company/LLC? I am not familiar with NAICS classification codes unfortunately, and I am not 100% sure but I think it may even vary by state? – hopefully someone who knows the answer to this can jump in with some advice. It’s hard to say which type of business (wholesaler, manufacturer, retailer etc.) you should select without seeing the definitions, so I don’t want to give you poor advice. I’m not sure where you are registering, but perhaps you could try the help or support section there for further guidance? There are lots of specific situations like this which, unfortunately, we can’t give any accurate legal or tax advice for. Are you looking to sell in the US but you are based in Canada? In terms of the advice in this post, you would fall under the Non-Resident American category, which suggests setting up an LLC. However, there may be some specific legalities in Canada that you need to take into account. As you mention, I would recommend getting some more legal advice on this from a professional in Canada. I’ll be looking to professional advice here in my home country. Thank you again! Well, this article seemed to clear things up! Excellent material here. Just what I needed! Thank you! Can I sell in the US with a UK Limited Company? I believe its similar to an LLC. However it is registered in the UK. If so what would be the advantages and disadvantages? I need an answer to this question too before I can open my sellers account. What are the advantages and disadvantages of selling on amazon.com (US) with a UK company versus a US company? I’m looking to add a “textile” product to my line, which would be my first. During some research, I ran into the Textile Products Identification Act which I believe my product and the baby towel product you’re thinking about selling falls under. 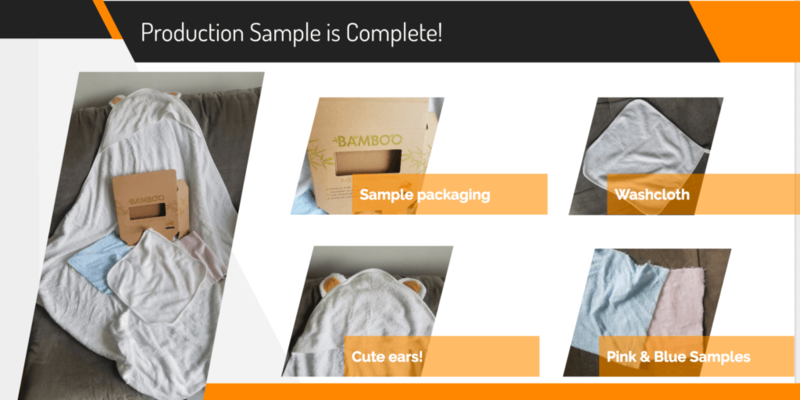 Are there any unique steps you’re looking to implement compared to selling a “non-textile” product? Appreciate all your work in creating this series and helping a good cause! Thanks for following along and sharing your experience. I think one of the most helpful, yet intuitive, pieces of advice from the Intellectual Property lawyer we had earlier in the Case Study is to thoroughly vet legal references on Google. This is no substitute for a lawyer obviously, but a good first place to start. Hope that helps. Are you planning to cover sales tax? Hi!! thanks por the post. If I’m in the group of non-resident Aliens, can I first start as individual without a LLC, until I know my product works well, and then create it and change my info in my Amazon account? 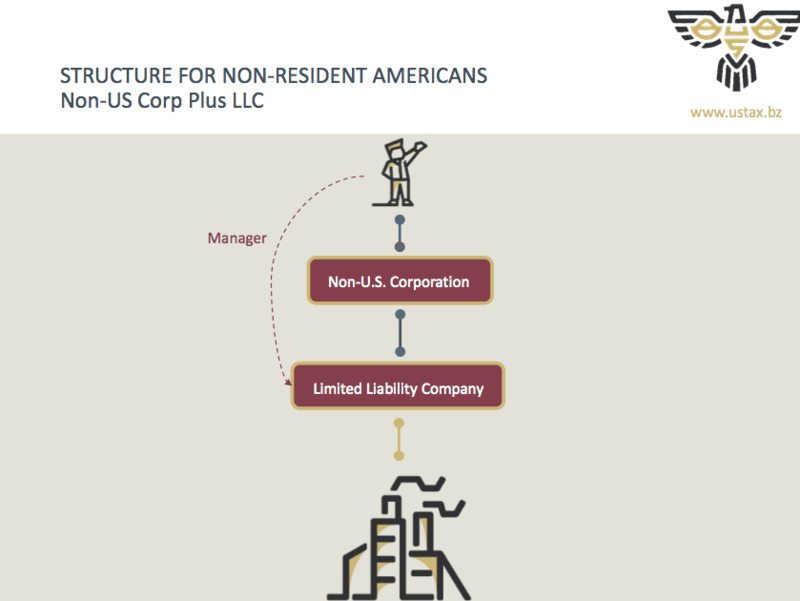 Stewarts advice in the webinar is that an LLC is not a requirement to sell on Amazon.com as a non-resident Alien, but it can benefit you significantly. For example, without an LLC you cannot have a US bank account. Plus you could be leaving yourself personally liable if a customer has any issue with a product that you sell on Amazon. It’s always recommended to seek legal advice in the country that you are based if you are unsure. Is it an LLC in the USA to open a USA based bank account? HI KIM , hello . we are analyzing to start to sell in USA trough AMAZON FBA and we are worried about taxes. •	We are 3 persons not a US citizen or resident, we want to sell products through AMAZON FBA . •	The cashflow of the company (income and expenses) will be in American dollars U$S. It is NOT necessary currency of our residency. 1)	Which Legal and Tax Status is Needed for Non-U.S. Citizens to Start Amazon FBA on Amazon ? such as Limited Liability Company, or LLC.? What are the steps ? 2)	I need to open a account bank in USA ? what characteristic have to have ? 3)	What are the taxes that we have to pay ?? federal or for state? how are they calculated (over Net income)? 5) what are the benefits to open a LLC , besides : liabilities , and multiple currency in the country origin . i mean have some tax deduction ? or something that impact positively my profit ? A lot of these questions are, unfortunately, outside of our realm of legal expertise. You may need to find an accountant or legal rep to help you there. We’ve got a few on junglemarket.com that can probably assist! Sorry we can’t be more helpful!